A versatile combi ski, especially for rougher roads and paths…. The Aero 150SC is a very versatile Combi ski, especially for those on rougher roads. The shaft is a longer than that of the original XL2150S Skate model and is equipped with a front ratchet wheel allowing for a classic stride. 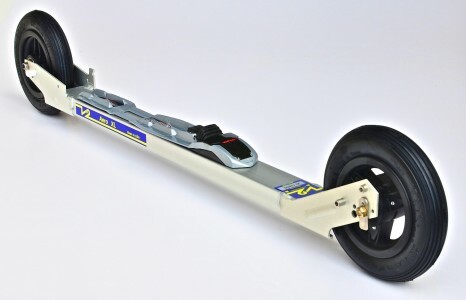 The narrow wheel makes it easy to switch to a skate stride but does require good balance. We recommend our optional outriggers for beginners.